"The practicability of penetrating across the continent of America [is] .... this favourite project of my own ambition." This explorer was the third of four children born in Stronoway on the Isle of Lewis in the Outer Hebrides to Isabella MacIver, who died while Alexander was young, and Kenneth Mackenzie. After severe depression hit Lewis in the 1770s, Kenneth decided to join his brother John in New York. In 1774, he took his son and two sisters to the New World, leaving behind his two daughters. When the American Revolution broke out soon after their arrival, John and Kenneth served in the King's Royal Regiment of New York. Alexander's aunts, who cared for him while his father was in the army, sent him to school in Montreal since living conditions were becoming difficult for Loyalists. He was barely in school for a year before the adventure of the fur trade captivated him and he joined the firm of Finlay & Gregory. After serving in the Montreal office for four years, he decided to try the trade out for himself. His employers were so impressed by his conduct on a small Detroit exhibition that they offered him a share in the business - provided he accept a post in Grand Portage, Minnesota, to which was quite agreeable. As traders and explorers hacked away at the uncharted and unregulated interior, the potential hazards and costs of sharp competition became more apparent. Nine small trading firms responded to this challenge by merging in the winter of 1783-4 to officially form the North West Company. 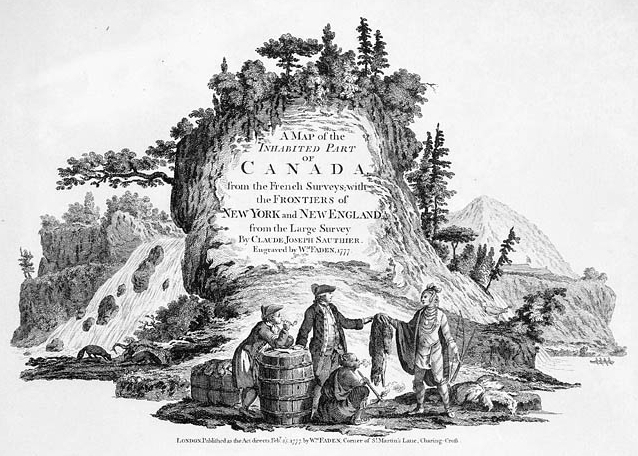 The Company was anxious to spread the scope of its trade across the whole continent, and employed explorer Peter Pond to chart a route to the Pacific Ocean. 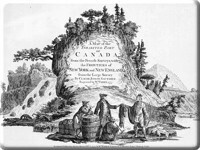 Soon Mackenzie found his career driven by the Company's ambitions; Gregory, MacLeod & Company (which reconstituted from Finlay & Gregory in 1783,) sent him to Saskatchewan in 1785 to head up the new English (Churchill) River department before amalgamating with the North West Company in 1787. Mackenzie immediately followed Peter Pond to a post on the Athabasca River in northern Saskatchewan/Alberta, and succeeded him as head of the Lake Athabasca department the following spring. 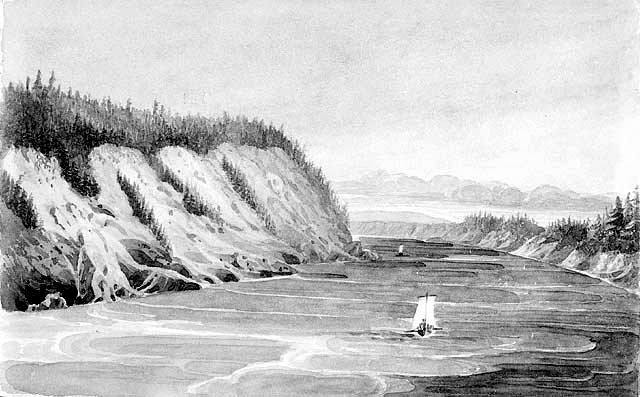 With orders from the North West Company to continue through Lake Athabasca down the Cook River in search of a Pacific route, Mackenzie prepared for an expedition that Pond had determined would end in the Cook Inlet in Alaska. He sent his cousin Roderick (who had come from the Isle of Lewis to join Gregory, MacLeod & Company in 1783) to the south shore of Lake Athabasca in 1788 to build the first Fort Chipewyan, and joined him before Christmas. 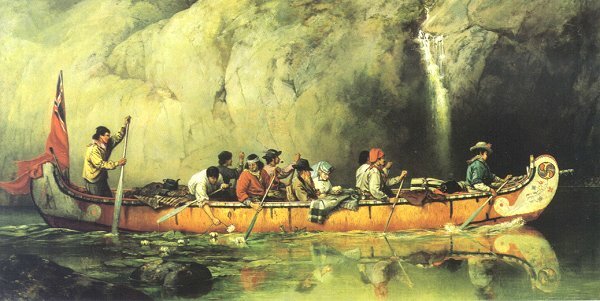 On 3 June 1789, Mackenzie set out on his first voyage of discovery from this new post with a party consisting of four French Canadians, a young German, a Chipewyan Indian, and some native wives and retainers. 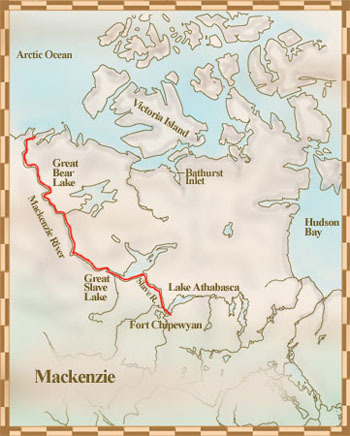 From Lake Athabasca they took the Great Slave River to Great Slave Lake, where rapids and ice delayed their progress, but made impressive time once they reached the river for which Mackenzie was named. Mackenzie followed it on a westward course for three hundred miles before it swung around to the north, making it apparent that the river would not, as Pond had predicted, empty into the Pacific. "I am much at a loss here how to act," Mackenzie wrote in his journal on 10 July, "being certain that my going further in this Direction will not answer the Purpose of which the Voyage was intended, as it is evident these Waters must empty themselves into the Northern Ocean ..." Nevertheless, his men expressed "much sorrow that they are obliged to return without ever seeing the Sea," and he rewarded their hardy spirits by deciding to push on "to the discharge of those Waters, as it would satisfy Peoples Curiosity tho' not their Intentions." 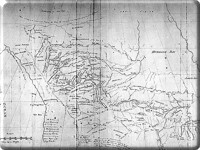 The party journeyed the entire 1,075-mile length of the river in fourteen days, reaching the sea just two days after Mackenzie decided to continue the voyage. They camped four nights on Whale Island (Garry Island, North West Territories), where they observed the rise and fall of the tide, and spotted a number of white whales in the vicinity. 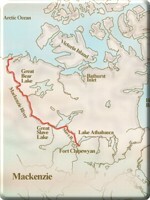 The entire party returned to Fort Chipewyan unscathed on 12 September 1789, having completed the three-thousand mile expedition in one hundred and two days. 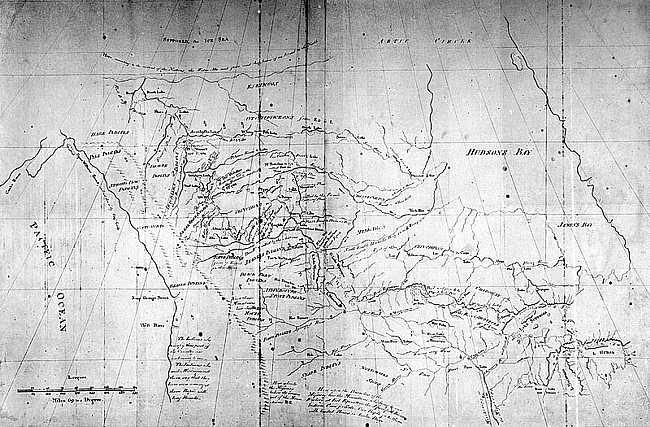 Although Mackenzie later took pride in his being the first to traverse one of the world's great rivers, his expedition bore no practical use for the North West Company, and his initial reaction was one of disappointment. He had become aware of certain deficiencies in his knowledge, for he had no means of ascertaining longitude. Determined to do better on his next expedition, he spent the winter of 1791-2 in London to learn new methods of calculating longitude. When he set out on his second expedition of western Canada in October 1792, he brought with him a sextant, a compass, a chronometer, and a large telescope, and at times was able to plot his course with remarkable accuracy. Now aware of Pond's miscalculations, Mackenzie realized that the Pacific was much farther from Lake Tabasco than initially thought. He spent the winter in Fort Fork at Peace River Landing, Alberta, before setting off in a twenty-five foot birch bark canoe in May 1793 to find a way to the Pacific. 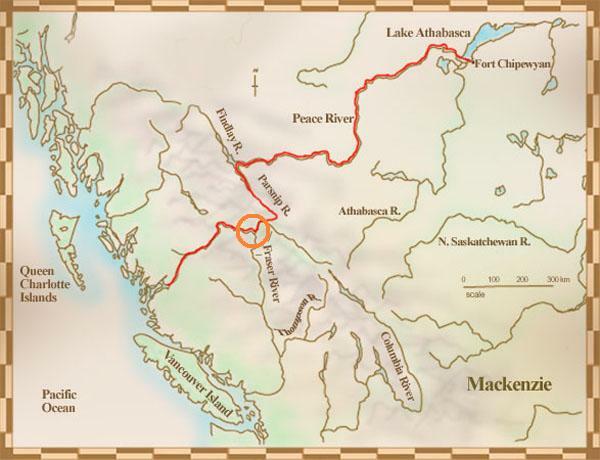 Mackenzie chose his route based on information given to him by native peoples; after trekking a laborious and complicated route through Alberta and British Columbia, he descended the Fraser River and reached the future site of Fort Alexandria. There, the native people warned him to pursue the Fraser no further, for parts of it were impassable and its mouth was far south. They advised him instead to backtrack along the Fraser and then follow the West Road River valley westward. While Mackenzie worried that the change in plans would damage the morale of his party - "a retrograde motion could not fail to cool the ardour, slacken the zeal, and weaken the confidence ... to follow the conductor," he wrote in his journal - he nevertheless decided to follow the natives' advice. 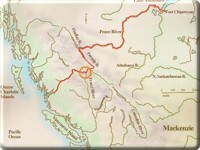 Mackenzie traveled across the mountainous province of British Columbia towards Bella Coola in July 1793. When he observed six Indian houses built on twenty-five foot high stilts, he determined that the river's mouth could not be far off. "From these houses," he wrote in a singularly undramatic fashion, "I could perceive the termination of the river, and its discharge into a narrow arm of the sea." Thus he chronicled the conclusion of the first journey across North America north of Mexico. 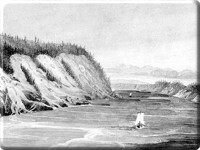 From Bella Coola Mackenzie and his party ventured towards the Dean Channel, where he learned from the hostile Bella Bella Indians that more white men - George Vancouver and company - had passed through the area just six weeks earlier. 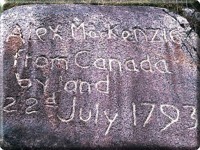 On July 21, the party camped on a large rock in the Dean Channel; in the morning, Mackenzie "mixed up some vermilion in melted grease" and marked the southeast face of the rock with his name and the date. The party began the return journey the next day, and arrived back at Fort Chipewyan in an incredible thirty days. The total distance covered had been more than 2,300 miles. While Mackenzie added a huge tract of land to the map of the new world, his second expedition unfortunately offered no immediate advantage to the North West Company, either. He came close to a breakdown during the winter of 1793-4, and wrote to his cousin Roderick his determination to leave the west: "For I think it unpardonable in any man to remain in this country who can afford to leave it." 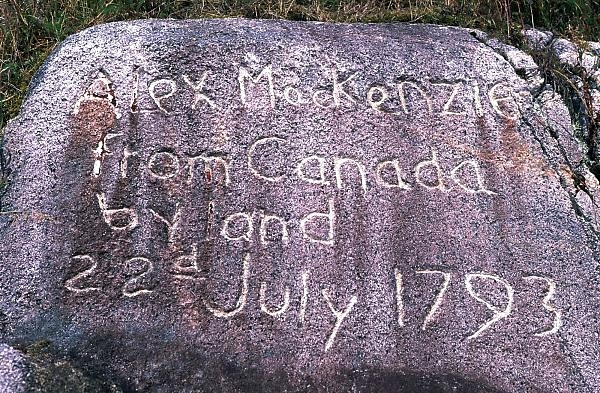 Mackenzie returned to Montreal in the summer of 1794, where he remained active in the fur trade and spent several years trying to foster cooperation between the North West Company, the Hudson Bay Company, and the East India Company to organize the trade on wider and more efficient principles. 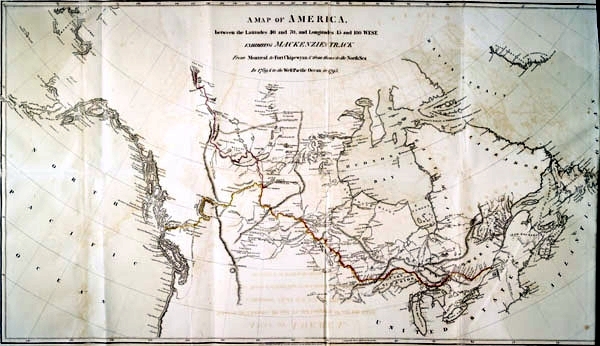 He published Voyages from Montreal ... to the Frozen and Pacific oceans in December 1801 to much acclaim, his description of Red River country arousing particular interest in Thomas Douglas, Lord Selkirk. The two men clashed when Mackenzie realized the huge dimensions of the land grant Selkirk sought, fearing that it would disrupt the fur trade. However, he could not block the grant, and Selkirk finally frustrated Mackenzie's attempts to gain control of the HBC in 1811. After being knighted in 1802, Mackenzie fostered spirited competition in Montreal and became known as something of a trouble-maker. When the New North West Company and the NWC merged in 1804, he found himself shut out of the Canadian fur trade. At a loss, his friends persuaded him to enter politics, and he was elected to represent Huntingdon in the House of Assembly of Lower Canada. 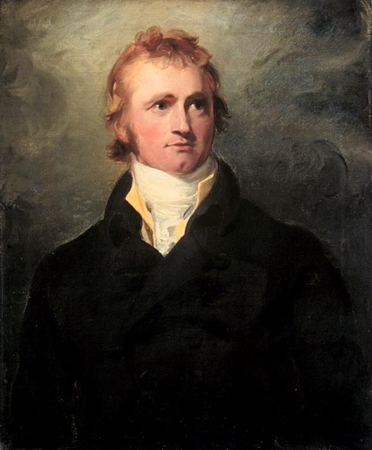 Although he retained his seat until 1808, he attended only the first session, lamenting to Roderick in January 1805 that he was already "heartily tired of Legislation," and wished that the friends who had gotten him "to so honorable a situation had been otherwise employed." 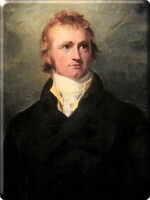 Mackenzie retired in to Scotland in 1812, where he married the fourteen-year-old Geddes Mackenzie, who had inherited her father's estate at Avoch. Between 1816 and 1819 Geddes bore a daughter and two sons, but Mackenzie did not live long enough to see any of his children grow up. His health was failing by the time the sons were born, and he died unexpectedly in 1820 in a wayside inn in Dunkeld, most likely of Bright's disease. The full title of this work is "Journal of a Voyage performed by Order of the N.W. 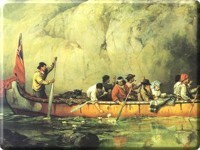 Company, in a Bark Canoe in search of a Passage by Water through the N.W. 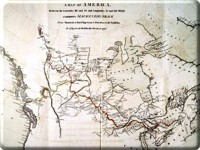 Continent of America from Athabasca to the Pacific Ocean in Summer 1789."